Suppose you decided to spend a little time boning up on the individualist anarchists of 19th-century America. There are four names you'd be likely to run across repeatedly in your reading — Benjamin R. Tucker, Lysander Spooner, Josiah Warren, and Stephen Pearl Andrews. There are a couple of other names that would pop up a bit less frequently, but still pretty frequently — Ezra Heywood, Voltairine de Cleyre. But Tucker, Spooner, Warren, and Andrews would be the big four. In the cases of Tucker, Spooner, and Warren, the reasons for their prominence will likely seem pretty obvious once you've done a little reading. In the case of Andrews, however, the situation is far otherwise. Andrews is likely to seem less like a central figure in individualist anarchism and more like a great eccentric, a starry-eyed dreamer and impractical visionary — a zealot in perpetual search of a movement — who passed through a brief period of libertarian zealotry while on his way to another destination entirely. And this likely first impression is not that far from the truth. Let me explain. Stephen Pearl Andrews first saw the light of day 199 years ago last week, on March 22, 1812, the youngest of eight children of the Reverend Elisha Andrews and his wife, Ann Lathrop. Pearl, as he was known to friends and associates throughout his life, was born in the small town of Templeton, Massachusetts, where his father had charge of the local Baptist church. When he was four years old, the family moved about 35 miles northwest to another small town, Hinsdale, New Hampshire. There Pearl grew up. In 1831, when he was 19, he moved with one of his older sisters to Louisiana. Two older brothers had already moved there some years before. One had established a school for the daughters of wealthy planters; the other was practicing law. The school, then run by Pearl's widowed sister-in-law, was in Jackson, Louisiana. The law office was in Clinton, Louisiana. Jackson and Clinton were a pair of small towns about 12 miles apart, about 35 miles north of Baton Rouge, and about 15 miles south of the Mississippi state line. Pearl accepted a teaching job at the school while studying the law under his brother's tutelage in his spare time. His biographer, Madeleine Stern, reports that "on March 27, 1833, five days after his twenty-first birthday, he was admitted to the practice of law in Louisiana." After two years of practicing with his brother in Clinton, Stephen Pearl Andrews moved in 1835 to New Orleans. He was 23 years old. Four years later, in 1839, when he was not quite yet 27, he picked up and moved again, this time to Texas. It's the Republic of Texas we're talking about here, founded three years before, in 1836, and as yet rather sparsely populated. Galveston, the biggest "city" in the Republic, had a little more than 4,000 residents in 1850. Houston, 55 or 60 miles to the northwest, reported a population of about 2,400 in that year. 1850 was, of course the first year in which population figures for any settlement in Texas were included in a US Census. Until 1845, when it joined the Union as a slave state, Texas was an independent republic. And both Houston and Galveston were growing rapidly in the mid-19th century. The population of both towns roughly doubled in each ten-year period between 1850 and 1880, when the rate of growth began slowing a little. I haven't been able to locate any figures for Houston's population when Pearl Andrews arrived there in 1839, but the pattern of growth later documented by the US Census Bureau suggests it was probably little more than 1200. Pearl Andrews practiced law very successfully in Houston, just as he had before in New Orleans, and quickly became a prominent member of the community. He took a leadership role in the First Baptist Church of Houston and had a hand in the founding of the school that eventually became Baylor University. He also continued the virtually compulsive reading and studying that had long been his chief way of filling his hours away from his professional work. He seems to have had something of a talent for languages, and before he died in 1886 he managed to teach himself no fewer than 32 of them. But it wasn't only languages and philology that interested him. He also read omnivorously in philosophy, religion, the sciences, history. By the time he reached his mid-50s, in the years just after the US Civil War, he had attained a measure of national fame as a polymath and a man of great and extraordinary learning. But I get ahead of my story. For now, Pearl Andrews is in Texas practicing law. He's about 30. At the request of the government of the Republic of Texas, he has translated the constitution and legal code into Spanish. And he has latched onto the first of the various causes that ultimately came to dominate and define his personal and professional life. The first of these great causes to possess Stephen Pearl Andrews was abolitionism. As a child, he had been present when his parents offered overnight shelter and needed provisions to fugitive slaves making their way to Canada. But he had never witnessed the reality of slavery itself until he had come South. And now, after witnessing that reality for a decade, he decided he could no longer tolerate it. He had to, as they say, Do Something. So he tried to drum up support in both Texas and England for a plan to free all the slaves in Texas, amend the constitution to forbid slavery, and "compensate" the slaveholders for the loss of their "property." This basic approach had been successfully used to end slavery in various countries in what, in the 1830s, had just begun to be widely called "Latin America." Andrews saw no reason it shouldn't work just as well in Texas. "Andrews seems to have been one of those people whose mind is so open that all his brains fall out." He did manage to drum up considerable enthusiasm for his plans in England, even at high levels within the British government, but these official supporters hastily withdrew when they were informed by the chargé d'affaires who represented the Texas government in London that the government in Austin did not sanction Mr. Andrews's scheme. And when Mr. Andrews returned home to Texas, his reception was far from what he had hoped for. Andrews was a tall man, imposing, with a beard of the sort you could easily imagine God Himself wearing. He was an impressive public speaker. 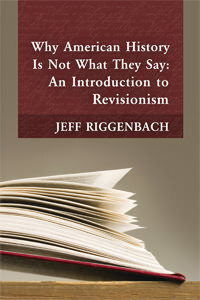 And he had given lectures and Independence Day orations in both Houston and Galveston (and before that, in New Orleans) in the late 1830s and early 1840s that were quickly recognized by those few who bothered to think about their implications as abolitionist in spirit and profoundly hostile to slavery. But now he was publicly and unambiguously unmasked as an abolitionist scoundrel. And the good folk of Texas were quick to respond. He was escorted out of Galveston by an armed committee, whose members invited him to refrain from ever returning. In Houston, his home was mobbed, and he and his wife were forced to flee through the swamps on horseback to the relative safety of the Louisiana line. Oh, yes. Had I mentioned that Pearl Andrews had acquired a wife by now? Actually he had acquired her some years before when he had first taken up residence in New Orleans. Almost nothing is known about her beyond her name, Mary Ann Gordon, her hometown, Norwich, Connecticut, and the fact that the two met at the Jackson Female Seminary, where she was a student and Pearl Andrews was a young teacher. Pearl's biographer, Madeleine Stern, writes of her as "her husband's faithful aide, housekeeper, and eventually the mother of his sons." Her name is apparently seldom found in the extensive papers and journals Andrews left behind at his death in 1886. It is difficult to avoid the conclusion that it was not his wife, but his causes, that were the true love of his life. He had already found his next cause on the long shipboard ride back home from England. In London, he had picked up several books by a Member of Parliament from Bath, one Isaac Pitman, who had developed a new system of shorthand that he believed would improve the efficiency of secretaries, court reporters, anyone who needed to reproduce accurately the spoken words of another. Andrews saw an even greater potential in Pitman's invention. He thought it could revolutionize the teaching of reading, transform the world into a planet of literate and, ultimately, educated individuals. He moved to New York, started up an institute that promoted Pitman shorthand and offered classes in it and published magazines, newsletters, and pamphlets in it. A few years down the line, according to Wikipedia, Pitman shorthand became "the most commonly used shorthand system in the entire English-speaking world." But that was maybe 40 years in the future. In the 1840s it was hard to find paying customers who wanted to take courses in it or read publications printed in it. So Andrews moved on to the temperance movement and from there to Fourierism — the doctrines of the French utopian socialist Charles Fourier, who believed (or so he said) that once socialism had ushered in the millennium, children and animals would do all the work so that adults could live at leisure, and the oceans would be full of lemonade instead of salt water. No, I'm not making this up. And my source for all this is no less reliable an observer than Ludwig von Mises himself, in his books Socialism and Human Action. But not long after Pearl Andrews became a Fourierite, sometime early in 1850, probably before his 38th birthday had come and gone, he met a most interesting character, a musician, tinkerer, and social philosopher named Josiah Warren. Warren was lecturing in Boston on something called "Equitable Commerce," his belief that people should sell goods to each other at cost and trade their labor with each other hour for hour. And this idea entranced Andrews — though it might well be argued that the idea of Warren's that most swept Pearl Andrews away was not this one but another: Warren's notion of what he called "individual sovereignty." Little more than a year after their first meeting, Andrews published what is today his best known book, The Science of Society, a work that has come to be widely acknowledged as not only the best book on but also the best single presentation of Warren's ideas. 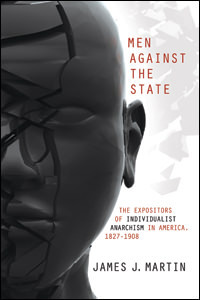 William Gary Kline states flatly in his book The Individualist Anarchists: A Critique of Liberalism that "Andrews' principal contribution to Individualist Anarchism … was his lucid elaboration of the thought of Warren. Andrews must be credited with passing this philosophy to the Individualist Anarchists that were to proliferate in the 1880s." And The Science of Society does contain a number of admirable and memorable passages. So does Andrews's 1853 book, Love, Marriage, and Divorce, and the Sovereignty of the Individual. This slender volume reprinted "A Discussion Between Henry James, Horace Greeley, and Stephen Pearl Andrews" that had originally seen publication earlier that year in the pages of the New York Tribune. (The Henry James referred to here is Henry James the elder, the father of the novelist.) At one point Andrews exhorts James and Greeley to "Give up, I beseech you, the search after the remedy for the evils of government in more government. The road lies just the other way, toward Individuality and Freedom from all government." the inherent viciousness of the very institution of Government itself [was] never to be got rid of until our natural individuality of action and responsibility is restored. Nature made Individuals, not nations; and while nations exist at all, the liberties of the individual must perish. two conflicting principles of government. Stripped of all verbiage and all illusion, they are simply — 1st. That Man is not capable of governing himself, and hence needs some other man (or men) to govern him. 2. That Man is capable of self-government, potentially, and that if he be not so actually, he needs more experience in the practice of it, including more evil consequences from failure; that he must learn it for himself, as he learns other things; that he is entitled of right to his own self-government, whether good or bad in the judgment of others, whenever he exercises it at his own cost — that is, without encroachment upon the equal right of others to govern themselves. This last is the doctrine of the Sovereignty of the Individual. Yet, by the late summer of 1857, scarcely four years after his exchange with Greeley and James had appeared in book form, Pearl Andrews had again moved on. His new enthusiasm was the Positivism of the French philosopher Auguste Comte. He was, as James J. Martin puts it, "a thorough-going anarchist no longer." And in the years that followed, "his principal intellectual concern" became "the torturous task of reconciling antithetical conceptions of the nature of human society" — an "attempt to fuse the diverse contributions of Fourier, Warren, and Comte into a grandiose eclectic social order." But this short list is woefully incomplete. For Andrews hoped to include not just the ideas of Fourier, Warren, and Comte in his new synthesis, but also the ideas of Emanuel Swedenborg and Karl Marx. Yes, Karl Marx. William Gary Kline reports that "Andrews was … among the first Americans to discover Marx and the first to publish his Communist Manifesto in the U.S." And it's not hard to find echoes of Marx's thought in Andrews's work. For example, according to Kline, in the late 1850s, under Comte's influence, Andrews began "to believe that government, if manipulated by social scientists, might be an effective agent for the social reforms he wanted to see. From this condition of world order anarchism would eventuate as government control was discarded." In effect, the withering away of the state. if the laborer enjoyed the full results of his own labor in immediate products or equivalents of cost, two hours of labor a day would be ample to supply the ordinary wants of the individual, — that is, to bring his condition up to the average standard of comfort, — even without the benefits of labor-saving machinery or the economies of the large scale. … The remaining time of the Individual would then be at his disposition for providing a higher grade of luxury, for mental improvement and amusement, and for laying up accumulations of wealth as a provision for sickness, old age, the indulgence of benevolence, taste, etc. in communist society, where nobody has one exclusive sphere of activity but each can become accomplished in any branch he wishes, society regulates the general production and thus makes it possible for me to do one thing today and another tomorrow, to hunt in the morning, fish in the afternoon, rear cattle in the evening, criticize after dinner, just as I have a mind, without ever becoming hunter, fisherman, herdsman or critic. Andrews seems to have been one of those people whose mind is so open that all his brains fall out. He was persuaded by virtually everyone he read, everyone he heard speak. He was the ideal sympathetic reader for any author, the ideal sympathetic listener for any lecturer. He made an honest effort to understand where that author or lecturer was coming from, what his or her fundamental premises were. He made an effort to see how, given those premises, the rest of the doctrine being promulgated by that author or lecturer must follow inescapably. And if there was any sense — any sense at all — in which the fundamental premises in question could be said to be true, why, then the author or lecturer promulgating them must be right. To Andrews it seemed obvious that Swedenborg was right, Fourier was right, Warren was right, Comte was right, and Marx was right. And if they were all right, then it must be possible to explain logically in exactly what sense(s) they were all right and exactly how their seemingly incompatible ideas actually could be reconciled and made to work together harmoniously. Stephen Pearl Andrews spent his last years trying to create that great synthesis, which he called Universology. Today, few remember that he made the effort. Fewer still have read any of what he wrote about Universology. Today, Stephen Pearl Andrews is known best for the period in the early to mid 1850s when he was an individualist anarchist and made his fleeting contribution to the libertarian tradition. This article is transcribed from the Libertarian Tradition podcast episode "Stephen Pearl Andrews (1812–1886)." You can subscribe to future articles by [AuthorName] via this [RSSfeed].